One Stop Auto: Why is proper wheel alignment so important? Why is proper wheel alignment so important? Proper alignment provides less resistance on the road providing smoother ride and noticeable fuel savings. When you reduce fuel consumption you contribute to reduction of pollution. 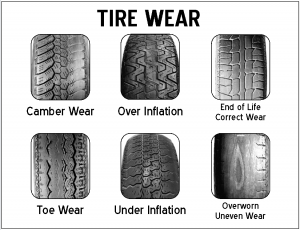 Consider the cost to replace unevenly worn tires with the smaller cost of a wheel alignment. Faulty wheel alignment can be exaggerated on wet or icy roads. We, at One Stop have upgraded our Wheel Alignment system from Optical to 3D. This allows us to perform a faster and more precise Wheel Alignment on all tvpes of cars and most trucks. Call us if you have any questions.